Fast, transparent and precise processes: The Job Manager is the core module for you project and workflow management. With it marketing projects, budget releases and purchase orders can be managed and processed transparently. 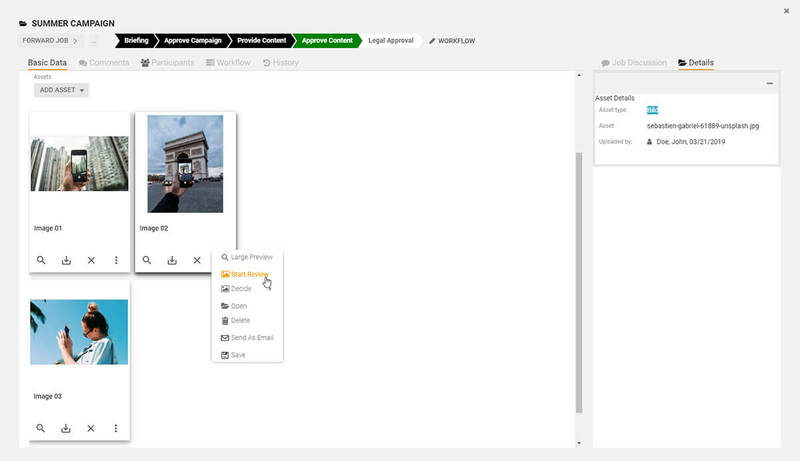 The seamless integration with other modules turns the job manager into a control center for all marketing projekts. Especially procedures of recurring marketing tasks and projects can be standardized and optimized with Job Manager. Thanks to individually definable workflows each individual task, as for example the creation of marketing materials, is forwarded automatically to the person responsible. 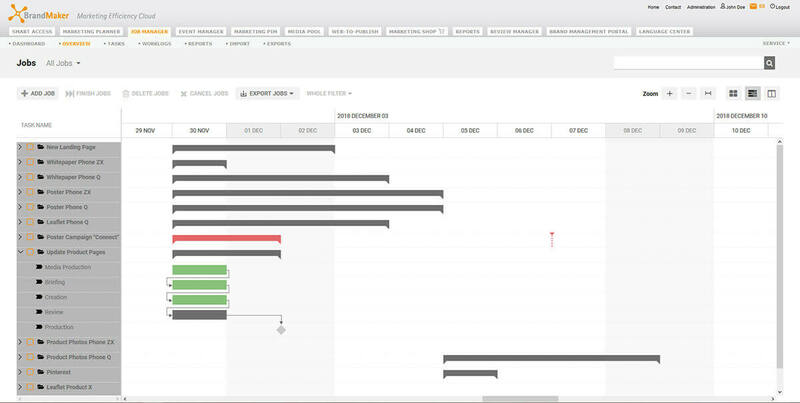 Implement projects in a structured and organized way with Job Manager. 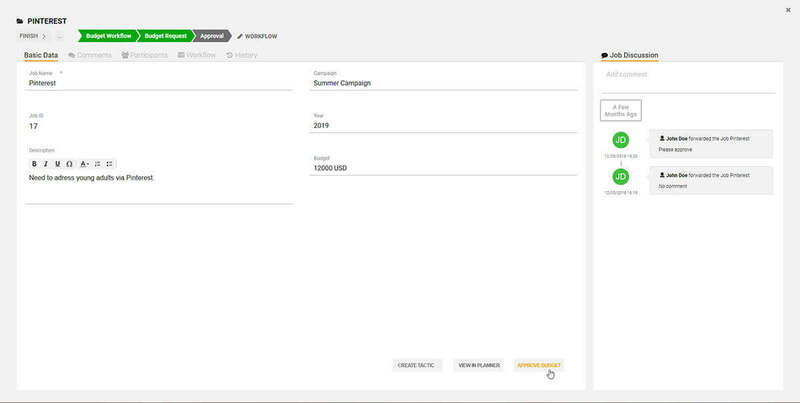 Simplify your budget workflows with the Job Manager. Every marketing projects has its own job file, in which all information, such as projects members, tasks and current status, is tracked. 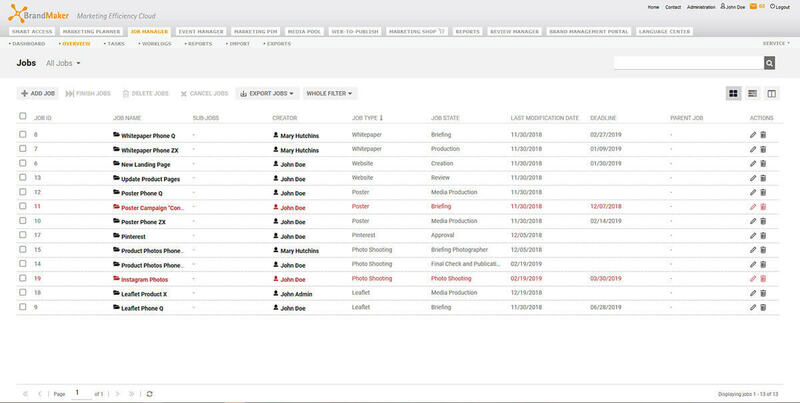 The integrated search offers additional ease of use by offering comprehensive filters to quickly find the required jobs and tasks via precise queries. With Kanban, Gantt and list views the job manager gives your a comprehensive overview of your current projects and to-dos. It bundles all relevant information of a marketing project and enables its efficient implementation. 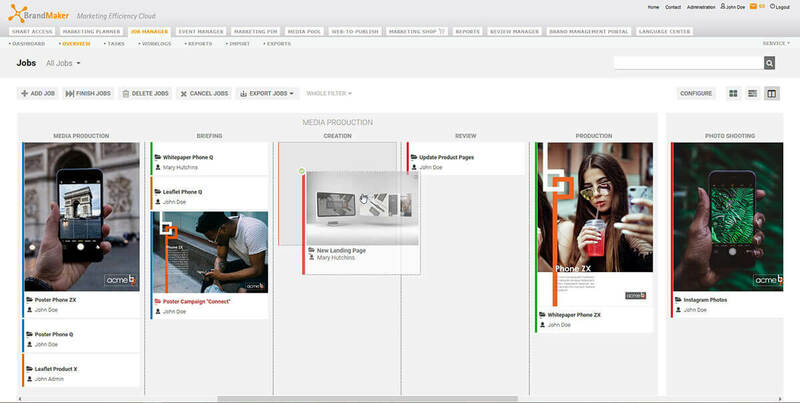 With it you’ll always get the most recent status of your marketing tasks via the complete revision tracking and project history. Simplify your budget requests and purchase orders: Use Job Manager as the central platform for the approval of all PO and budget releases. Define company specific release workflows to speed up your budget allocation and with it the implementation. 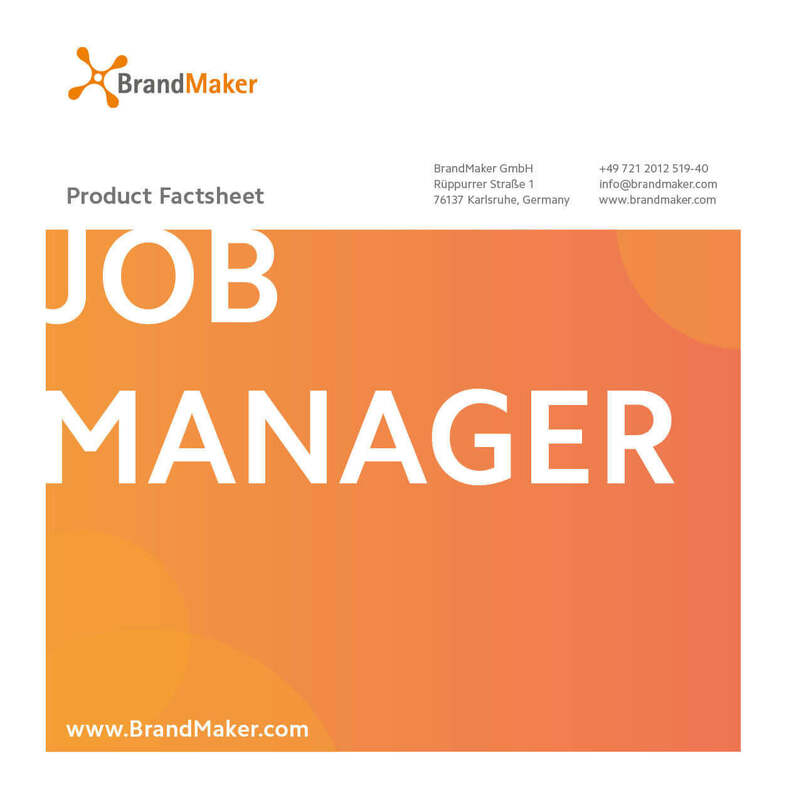 Job Manager ensures transparency in the realization of marketing projects. 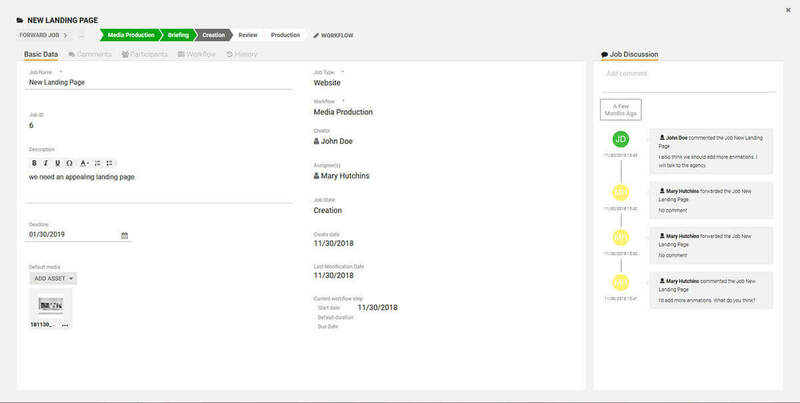 The access for the job files and the data included can be granted role based and separately for every single step in the workflow. This facilitates the collaboration with external project partners, such as agencies and service providers.